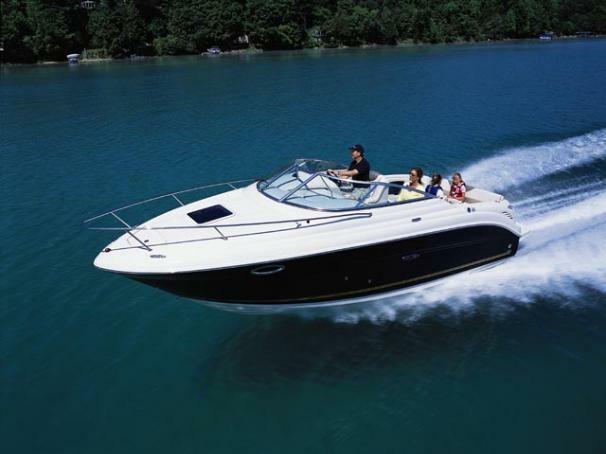 Boat Description For powerful performance with plenty of room, choose the Sea Ray 250 Amberjack. This versatile cabin boat features a double helm seat plus portside back-to-back seating, walk-through windshield, extended swim platform and fully enclosed stand-up head. Additional features include bimini top with boot, galley with built-in sink, and sliding fiberglass cabin door.